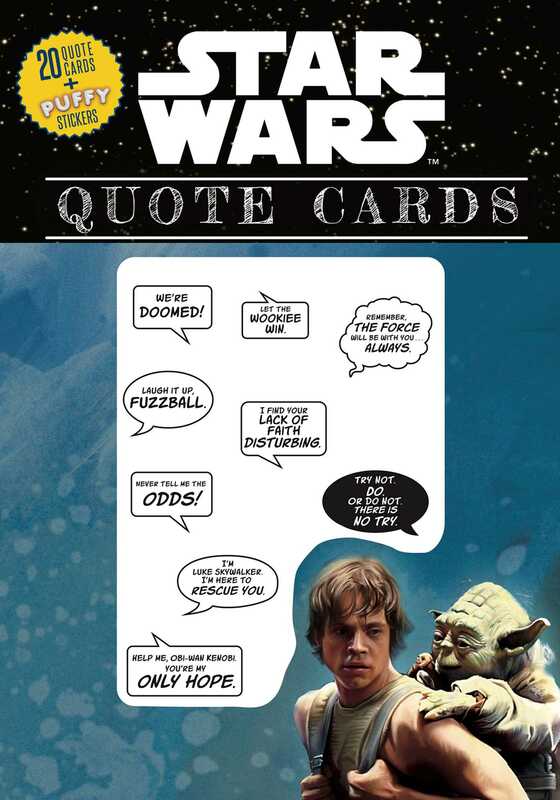 Create your own fun, creative, and crazy postcards featuring classic quotes from the original Star Wars trilogy. Each of the twenty removable postcards in this book features a full-color scene with a famous line from the original Star Wars trilogy. On the back is the same scene in grayscale with empty speech bubbles. Add any of the included puffy stickers or write in your own quotes to personalize your postcard before mailing it to another Star Wars fan! You can even use the puffy stickers to decorate your notebook, cell phone, locker, and more! Cards also feature fun facts about the scenes and movies.